Mecklenburg Radiology Associates (MRA) is the oldest radiology group in North Carolina. We are proud to provide the highest quality imaging and image guided therapy services to the greater Charlotte region. Our fellowship-trained, board-certified physicians are selected from elite training programs and are specialists in all aspects of radiology. At MRA we approach every case as if we were treating a member of our own family. This is our standard of care. James W. Squires, M.D., Head of Radiology at Charlotte Sanatorium, the hospital where the first x-ray machine was used in Charlotte, founded the group. 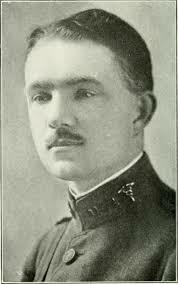 He left in 1917 to serve in World War I.
Robert Lafferty, M.D., a solo practitioner and official of The North Carolina Medical College, took over for Dr. Squires at the Charlotte Sanatorium in 1917 and practiced until his death in 1950. Dr. Phillips joined in 1928, but later left the practice. John Lafferty, M.D. (son of Robert Lafferty) joined his father in the late 1940’s. J. B. Hall, M.D. and Osgood Baxter, M.D. joined in the late 1940’s. The group was called Drs. Baxter, Hall and Lafferty. Thomas O. Coppedge, Jr., M.D. joined in 1950, and Thomas J. M. Burnett, M.D. joined shortly thereafter. The group was incorporated as Mecklenburg X-Ray Associates, PA in1952, practiced at Presbyterian Hospital and operated private imaging centers on Hawthorne Lane, Harding Street, Kings Drive, and Randolph Road. The practice was consolidated at Presbyterian Hospital Charlotte and one Presbyterian imaging center in 1988.